I thought I would post a few other pictures from my recent trip. 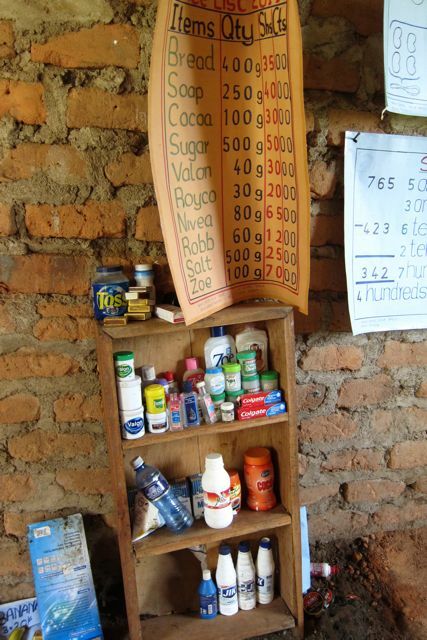 First, is an image of the “store” set up in one of the schools in Nyanza that we visited. It reminded me of the store my first grade son set up in his classroom this year. 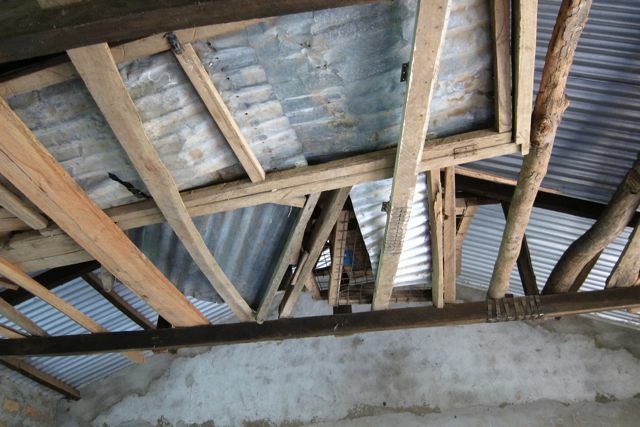 …But what did not remind me of my son’s school was this leaky, corrugated tin roof, which must be a disaster during the long, rainy season. 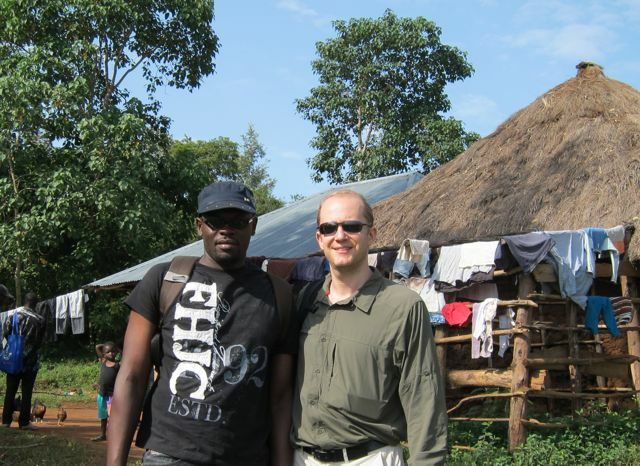 Here is a picture of myself with Richard, one of our two Kenyan field coordinators, in front of the home of a village elder. 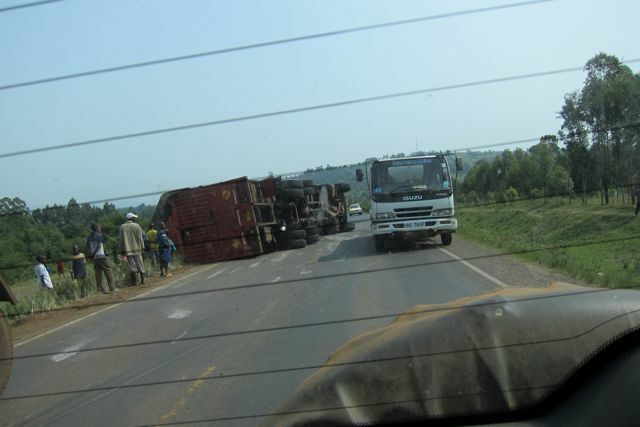 And on the way home, we drove by this bus, which several hours earlier had turned over. The roads are a serious safety hazard. We could not tell how many people were seriously injured, as many people were hanging around outside the bus, who seemed fine. But it’s hard to imagine an accident like that one without injuries. I loved reading more about the trip. I passed your blog address on to the Princeton in Africa intern who helped Jessica with the survey. I thought she would enjoy seeing what happened with it.